In Scottsdale, Sono Bello is one of the foremost experts on body contouring and laser assisted liposuction procedures. The clinic's in-house physicians are all board certified and trained to use the latest techniques and equipment. Sono Bello offers some of the most advanced fat reduction procedures of the moment, including SmartLipo™ and LipoLite™. In the careful hands of Sono Bello's certified liposuction physicians, patients can permanently remove their unwanted body fat from problem areas such as the back, abdomen, thighs and knees. Their advanced laser methods result in less bleeding, bruising and discomfort, and patients experience far less downtime than traditional liposuction treatments. Sono Bello takes the time to listen to patients, catering their services to meet each individual's needs. They also try to make the cosmetic surgery process easy, comfortable and affordable, which is why they provide free consultations and patient financing. 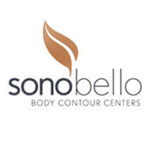 If you're living in the Scottsdale area and are interested in body contouring or liposuction, then Sono Bello may be the place for you. Contact us today to learn more about their services, or to schedule a complimentary consultation. Sono Bello serves residents of Paradise Valley, Tempe, Mesa, Phoenix, Fountain Hills, Chandler, Avondale, Goodyear and more. Sono Bello - Phoenix offers Complimentary Consultations. At a free, no-obligation consultation, you will meet with a member of Sono Bello's staff to discuss the details of your desired treatment, as well as your personal aesthetic goals. At this time, you can also receive information on patient financing options, if you so choose.